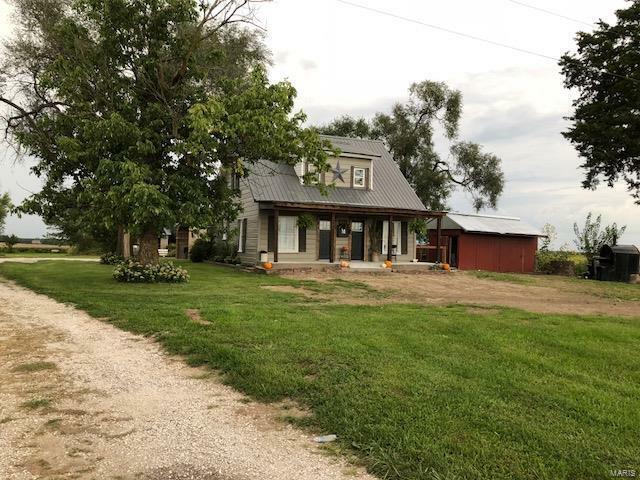 This three bed two bath farmhouse is located just Southwest of the Mark Twain Lake and is situated on a .78 acre lot surrounded by row crop fields. The property is extremely private and has that old homestead feel as you drive up to the property down the long driveway. The home has had new updates over the recent years and includes newer windows, newer metal roof, metal siding, ceramic tile flooring in the kitchen/bathrooms and a complete new master bathroom with a full stand up tile shower. There are several outbuildings on the property. One outbuilding has been converted into an outdoor bar area with a built in smoker inside. The other outbuildings include a lean to garage directly behind the house, a detached garage with partially finished man cave area inside and a small grain bin for storage. The sellers are offering a $5,000.00 credit so the new buyer can install a new septic system and place it to there liking. This home has a ton of character and is very warm and cozy inside!